Explore the never ending patterns in nature! 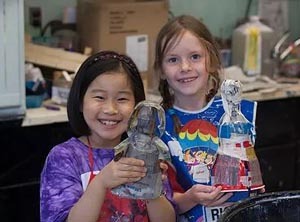 Inspired by artists like Andy Goldsworthy, Christo and Nancy Holt, campers will learn about outdoor artwork, and different ways to create environmental art. From snowflakes to flowers, we’ll take the rhythms of nature and bring them to life in art, music and drama.